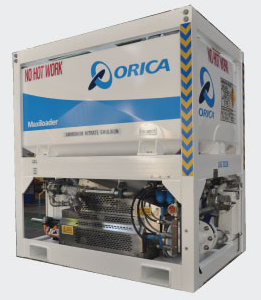 We’ve been a trusted manufacturer for Orica since 2007 for their underground MaxiLoader™ explosive units as well as for replacement parts and components of these units. The MaxiLoader™ unit is a modular bulk delivery system which is a fully featured loading unit designed for development and production charging in underground mining or construction applications. The MaxiLoader™ has the ability to deliver a range of densities and has full control of charging operations enabling accurate loading of blast designs.